Gemma Coma-Alabert´s Cherubino had all the ingredients that make this a plum role for any mezzo...impertinence, scenic wit and charm, careful diction, expressivity in the two arias and good balance in the ensembles. CD Granados´Dante, Naxos. It is worth mentioning the emotive and expressive performance of the mezzo-soprano Gemma Coma-Alabert in the second movement, with a round, well-projected sound and convincing diction, in this score with has clear Francia and Wagnerian resonances and is one of the great recording successes released in 2016. "Gemma Coma- Alabert embodied a complete Dorabella, both vocally and dramatically. . . Her voice suits the role well, as was demonstrated in moments like "È amore un ladroncello". Gemma Coma-Alabert was totally convincing. Gemma Coma-Alabert brings to to the stage a gripping Ottavia. SPECIALTIES OF THE HOUSE (La Vanguardia, August 1, 2011) Festival of Torroella de Montgrí The important part of this occasion was to hear, centered in the program and in the important repertoire, the young mezzosoprano from Girona, Gemma Coma-Alabert. She has a very beautiful voice, a variety of vocal production, fine vibrato, subtle coloration, precise intonation, clear and incisive projection, diction and articulation praiseworthy for this particular world of baroque music, and an appropriate style of ornamentation. What else? A demonstration of the potential in the talent around us, which we must always make room for. Her Vivaldi Nisi Dominus, a brilliant work, proved tremendous, subtle and expressive. Mozartian delights. The more sensual and coquettish Dorabella was admirably played by Gemma Coma-Alabert, who was attractive and gracious in her role, with impressive and memorable moments, like her aria "É amore un ladroncello." The excellent mezzosoprano, Gemma Coma-Alabert, sang Nicklausse, a role that profited greatly from her education in the French school. She brought it to life with elegance and understanding worthy of acclaim. The performance promises a great career for the singer Gemma Coma-Alabert . . . Full of marvelous color and potent musicality, the interpretation by Gemma Coma-Alabert (Juditha) was a revelation, and promises a career writen in gold letters. We should highlight the quality of the still little-known mezzo from Girona, Gemma Coma-Alabert. Enchanting. A talented comedian, Gemma Coma-Alabert (Dorabella) played a carefree and sparkling young woman in the spirit of the intrigue. Her singing is on a high level (what admirable diction!). 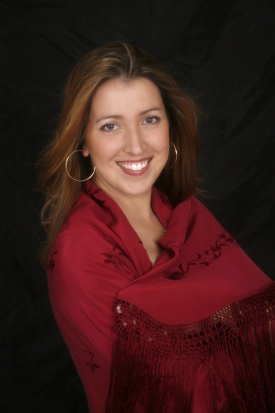 Gemma Coma-Alabert, a spitfire mezzo-soprano, made fine work of Medea in both vocal tone and characterization. The Spanish mezzo, Gemma Coma-Alabert, radiant and elegant, offers a very poised Isaura. Her well-placed voice promises a brilliant career. Gemma Coma-Alabert captivates with her supple voice, exacting delivery, and the attention brought to ornamentation. Gemma Coma-Alabert is a sensual Fidalma, with a luminous voice and a beautiful plush middle register. Gemma Coma-Alabert - a voice that seduces and inspires. The mezzo Gemma Coma-Alabert managed to sweeten her musical attacks with a velvety precision, marvelously bringing off clear, serene and perfectly balanced phrases. Everything was placed just as it should be, with an expression not lacking in emotion. The last aria was very touching.